Iran is prepared to negotiate its way into the World Trade Organization, Industry Minister Mohammad Reza Nematzadeh said on Thursday, building on the momentum of a landmark nuclear deal as Tehran restores international economic links after years of sanctions. "I'm here with an important message," Nematzadeh told ministers of the trade body's 162 members at a two-yearly meeting in Nairobi. "Now that years of intensive negotiations have finally cleared all the misunderstandings around Iran's nuclear activities, we are taking the next step towards integrating more deeply into the global economy." Tehran sealed an accord with world powers in July, agreeing to curb sensitive parts of its nuclear programme in return for an easing of international sanctions. The breakthrough, after more than a decade of deadlock, is prompting keen interest from foreign firms in striking business deals in Iran. 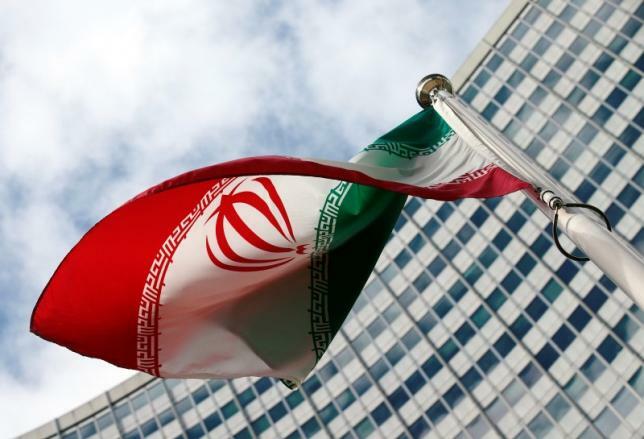 Joining the WTO would involve long and difficult negotiations, but Nematzadeh said Iran was already opening up its trade and investment regime and pursuing bilateral and regional integration with its trading partners. But regionalism was no substitute for the global system, he said. "Finalising WTO membership is therefore a priority for the Iranian government. As the largest non-member economy in the world, our full membership will be win-win for all and a significant step towards creating a truly universal organisation." Despite having some of the world's biggest oil and gas reserves, Iran's economic growth has been slowed by sanctions, low energy prices and high interest rates. It first applied for WTO membership in July 1996, but progress has been glacial. The WTO only began to consider its membership in 2005 and Iran provided a file detailing its relevant laws and regulations four years later. It had now updated this file and was ready to submit it to the WTO, and for the first time it was prepared to enter talks on lowering tariffs and other barriers to trade in goods and services, Nematzadeh said. Countries seeking to join the WTO have to bring their own laws into line with WTO rules, but they also have to buy their way in by bargaining with existing members, who can push for concessions in sectors that interest them. Joining the club would impose limits on Iran's tariffs and commit it to be transparent about a wide range of policies that affect trade, such as subsidies, agricultural rules and rules for importing and exporting goods. It would gain the right to bring trade disputes against other members of the WTO and it would join negotiations on new trade rules, where every member has an effective veto. Other large economies that are not WTO members include Ethiopia, Belarus, Algeria, Uzbekistan and Iraq. The nuclear deal is designed to curb sensitive activities like uranium enrichment and extend to a year the 'breakout time' it would take Iran to obtain enough weapons-grade material to build a nuclear bomb - even though Tehran has always denied any such intention. In return Iran would get relief from sanctions. The head of the U.N. nuclear watchdog said on Wednesday it was "not impossible" that this could happen by the end of January, as Tehran is seeking.